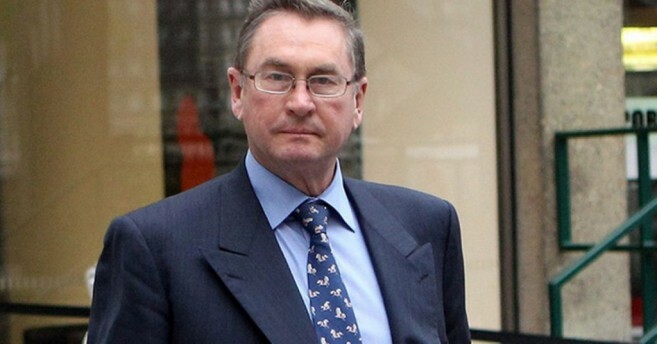 In August of 2009, the Government of Belize (GOB) nationalized the Belize Telemedia Limited (BTL) from a group of companies controlled by British Billionaire Michael Ashcroft. Immediately, a foreign arbitration was filed against Belize claiming between $300 and $600 million. This led to seven years of litigation and court battles that for the most part favored the Ashcroft Group. As a result the economy of the country is now being threatened, as Ashcroft has demanded that GOB must pay $70 million in foreign (US) currency towards the once and for all settlement of the BTL acquisition. However, the Central Bank of Belize has warned that if such request is approved, the country’s status could be dramatically affected to the extent of devaluation. On Friday, July 22nd, Central Bank Governor Glenford Ysaguirre sent a letter to Financial Secretary Joseph Waight, warning him of the destructive outcome Belize will experience if such a notion is passed. During the same time, GOB issued a press release stating that it would apply all its resources to combat the Ashcroft Alliance on this issue. A few days later, on Thursday, July 28th attorneys for GOB and the Ashcroft group went back to court to further discuss the dispute caused by the first payment made towards the BTL nationalization settlement. The case took place at the Caribbean Court of Justice (CCJ). The first payment of the $458.4 million, as part of the arbitration award towards the nationalization of BTL, was made on Wednesday, July 13th. According to Ysaguirre, the payment consisted of US$29.5 million, BZD$134.9 million for compensation, plus 827,000 British Pounds in legal fees, and 33,000 Euros in arbitration costs. However, the Ashcroft group has now indicated that the payment made in Belize dollars, must now be in US currency instead. According to Ysaguirre, it is a request that the government cannot afford. Ashcroft claims that based on what was signed in Miami Florida, USA in September of 2015, his group is entitled to payment in US dollars. According to Prime Minister Dean Barrow, that is absolutely contrary in regards to the actual agreement signed. “Ashcroft knows as I know, and God above knows that our agreement was for that award to be split, that is what we asked the tribunal. In it was very clear how much of it was for the shares and how much of it was for the accommodation agreement,” said Barrow. “The entire accommodation agreement was to be spent on the people of Belize; that is the only way I would have agreed to any settlement.” Barrow mentioned that the agreement clearly stated that 60% of the total sum of the award was to be paid in Belize dollars, while the remaining 40% in US currency. This last part of the payment was the compensation for the Ashcroft group for the acquisition of their BTL shares, while the initial was the accommodation to be spent on funding projects in Belize. Furthermore, GOB stated that after examining the award, it determined that the arbitration tribunal applied the wrong rate of exchange when calculating the final compensation figure. “We also submit at the Tribunal’s calculation of interest was mathematically incorrect. Both mistakes by the Tribunal prejudiced GOB and resulted overall in larger sums being awarded than were justified,” GOB release added. In the letter sent to Waight, it was highlighted that just US$29 million is available for sale to GOB, which is a lot less of the US$70 million requested. “The Central Bank would not be able to provide the additional US$70 million and to do so would mean that Belize’s US dollar position would shrink from US$422 million to US$159 million. That is the same as 1.5 months of imports, which is half the international benchmark of three months and this will be catastrophic to our economy,” said Ysaguirre. He further mentioned that when reserves are inadequate, growth is strangled. This is an unacceptable state of affairs in a country which has 40% poverty rate and a very open economy. “In the absence of foreign exchange, our economy suffocates, resulting in increased poverty, and risk that we won’t be able to meet obligations to other creditors and trading partners,” he said. In the note, Ysaguirre stated that current demands for US dollars from the private sector in Belize amount to US$193 million. He also revealed the risk of devaluation by saying that without domestic adjustments and increased inflows, it is going to be very difficult, if not possible for the bank to protect the exchange rate peg of BZ$2 to US$1. The country has maintained the peg since 1974 and the Central Bank has the responsibility to protect it. A very vital way of doing it is by keeping a healthy level of US dollars in reserve. The PetroCaribe funds are winding down, as is the same story with the sales of Belize crude. Belize’s foreign currency position had already deteriorated substantially by 20% since last year. That figure which is equivalent to over $100 million, and according to Ysaguirre, the private sector, including exporters and banks, are already demanding a huge chunk of the reserves. 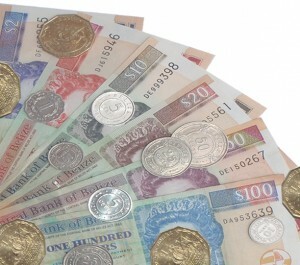 Belize obtains US dollars through its export sectors, which have been on a persistent decline. Currently, the only sector that is holding that commodity is the citrus belt. Even though it had been reported that tourism numbers are up, Ysaguirre noted that tourism services providers have been bringing in less US dollars than expected. The amount of US dollars which flowed into the economy barely increased, by a growth rate of less than 1%, even with 6% growth in the tourism industry. “The problems are exacerbated by the loss of correspondent banking, which may be a reason why investors are choosing to keep their money abroad,” noted Ysaguirre in his note. In addition, Ysaguirre stated that foreign investors who export from Belize had been asking for funds to repatriate. He reported that certain foreign-owned establishments want to remove US$96 million from Belize. He continued by noting that there are several others demanding more US dollars and among them are creditors to GOB. This includes the bondholders who are to be paid US$13.5 million in interest from the total debt obligations of US$45 million from the Super Bond. Furthermore, Ysaguirre cited that the severing of Belizean banks by US corresponding banks have worsened the country’s position. “The offshore sector is in jeopardy due to the correspondent banking relationships’ situation. Several banks had recently approached the Central Bank for short-term liquidity loans totalling some US$40 million as a temporary option,” said Ysaguirre. According to him, so far Central Bank has resisted these requests, but it must nonetheless stand ready to assist as the lender of last resort. The loss of correspondent banking has also severely affected the Free Zone in the north of the country. They reported exports from the zone fell by 19% as recent as May 2016. As the situation does not foresee a bright outcome, there is no assurance as to how much more it will contract, given the issues with correspondent banking. The delicate situation in which the country stands at the moment is not all due to the demand from the Ashcroft Group said Ysaguirre. It has been predicted that a sharp downward trend for the reserves in the short and medium term is on the way for the Belizean economy. The International Monetary Fund report for this year on Belize came with a warning. It indicated that international reserves could decline to uncomfortable levels, especially if compensation for the nationalized utilities is paid and repatriated. Ysaguirre’s note highlighted that Belize’s economy grew by only 1% last year and shrank by 2% during the first quarter of this year. These recent figures in the Belizean economy are a clear indication that meeting the demands of the Ashcroft group would put Belize’s economy at great risks. The case at the CCJ has been adjourned for Friday, August 19th, when a decision will be made.